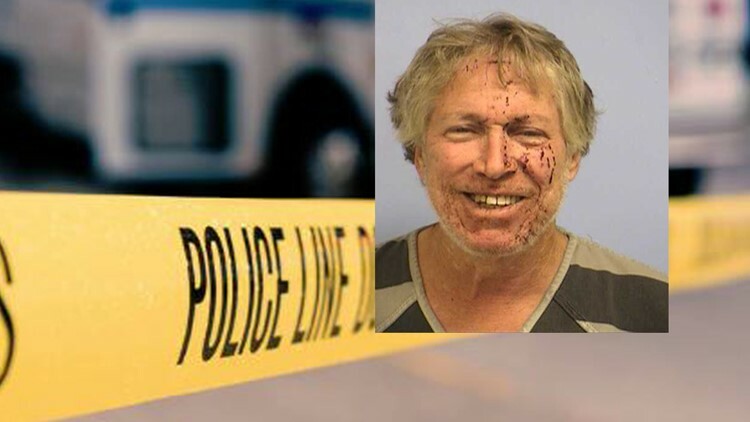 A 61-year-old man has been charged after he allegedly fired at police officers who responded to a southwest Austin home. Police said they were called there after a friend of his noticed a troubling post on his Facebook page. AUSTIN — Police have identified the 61-year-old man who reportedly opened fire on officers during a SWAT call at a southwest Austin residence, causing neighbors to be evacuated. It started at about 2:38 a.m. Saturday at a home off Brodie Lane and Harpers Ferry Lane after someone saw an alarming video on the man's Facebook page. The friend called 911 believing the man was having a mental breakdown. Police said they received a call at this same house the day prior about a disturbance. When officers arrived at the home, the man -- identified in a police affidavit as Dennis Mahan, 61 -- could be heard yelling inside his residence. Mahan allegedly emerged from the front door wearing a bath robe, holding what appeared to be a liquor bottle and a large stick in his other hand. Officers said they tried to get Mahan out of the house, but he refused to comply with commands. At some point, gun shots were reportedly heard coming from the house. "A short time later, the suspect opened the garage door, approximately 2-3 feet off of the ground, and fired a shot in the direction of an officer at the scene," the affidavit said. An officer said he believed the bullet was traveling toward him because he heard a "whizzing or buzzing sound." Austin police's SWAT team was called. They were able to get into the home and deploy a chemical agent. Mahan then got out of the residence and was taken into custody. Neighbors were evacuated on Capital Metro buses during the incident, but were later allowed back. Mahan was treated for minor injuries before he was taken to jail. According to the affidavit, Mahan threatened the officers and medical staff, saying he was going to "'slice their throats' if he got out of the hand cuffs," the affidavit said. Police searched Mahan's residence, where they found three firearms, one spent casing, one live round, 27 spent casings outside the residence and nine live rounds outside the residence. Mahan has been charged with aggravated assault against a public servant and is currently in the Travis County Jail with a bail set at $200,000.